The Skinny: A fine romantic comedy and one of Chow Yun-Fat's best non-action roles. by Kozo: For fans of Chow Yun-Fat, this popular New Year’s Comedy is a definite change of pace from his usual two-gun theatrics. 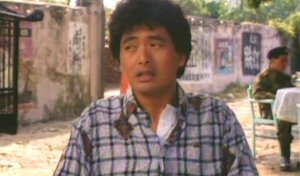 Chow plays the uncouth headman of a rural HK village who possesses a really laughable hairstyle. When his fiancée Firefly Kwok (Carol Cheng) returns from studying in England, she’s become a punk hipster much to Chow’s dismay. He loses her to the big city (Hong Kong) after he blows a fuse over her radical change. However, he soon decides to follow her in an effort to win her back. In the process, he opens a new business, finds a new girlfriend (Carina Lau), and generally becomes a better man.